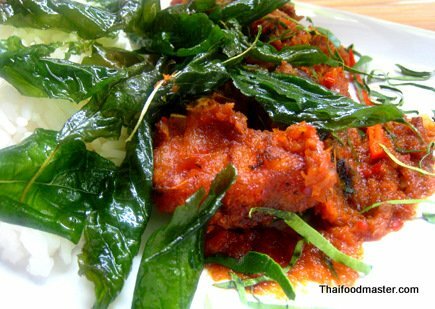 This Thai spicy catfish recipe gives catfish a new and fabulous spin. 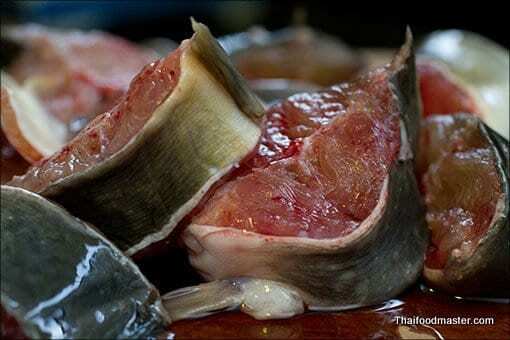 You can either use farmed or game fish with the same phenomenal results. 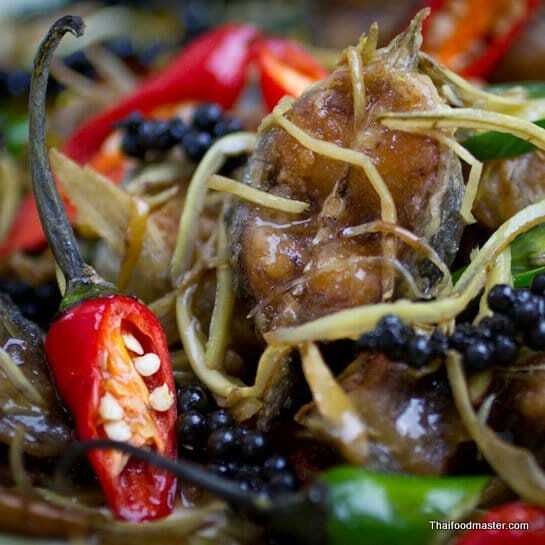 The intensity of the wild ginger combined with aromatic fresh peppercorn will turn even muddy flavor fish into a delicacy. Slice the fish are first, then role it in flour and deep-fry it to a crispy crunch. 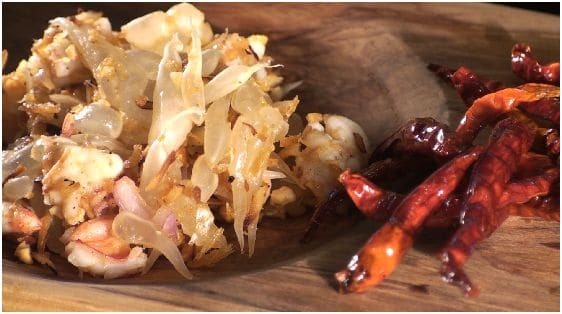 Quickly stir-fry the crispy fish with wild ginger and the peppercorns releasing their aromatic oils, creating wonderful flavors. 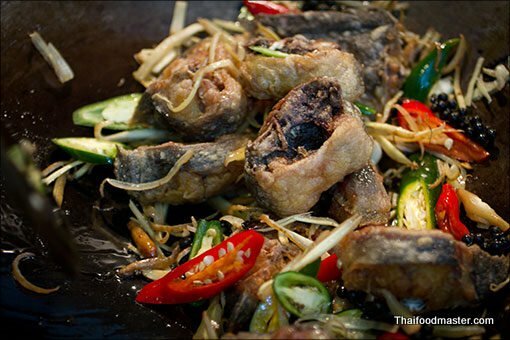 While seasoning with light soy sauce and oyster sauce, our fish is now regaining heavenly moisture without losing its tempting crispiness. 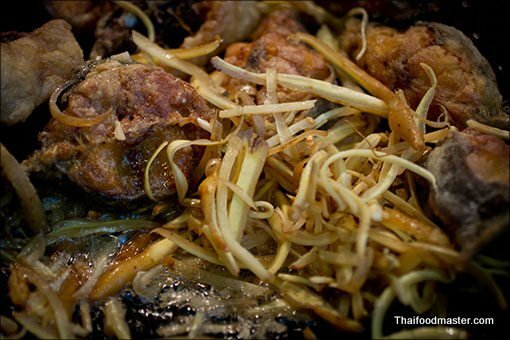 To perfect the obvious harmony, try this dish with glass of chilled beer and a bowl of steamy white rice. A simple but unforgettable treat. 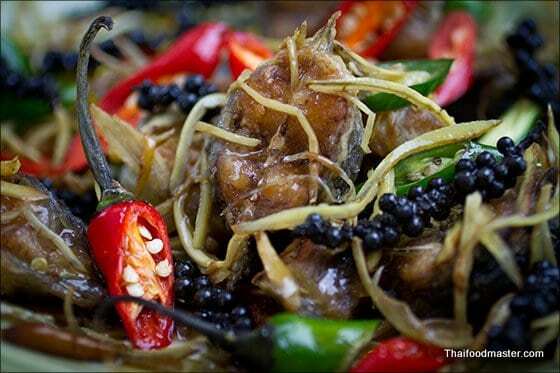 A fabulous Thai spicy catfish recipe of crispy catfish stir fried with wild ginger and fresh peppercorns. 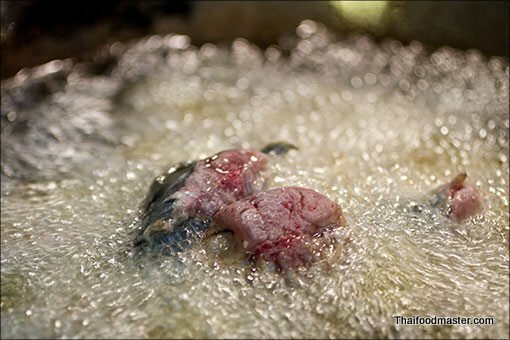 Clean the fish, remove the guts, wash well and slice into 2cm (about 1") thick slices. 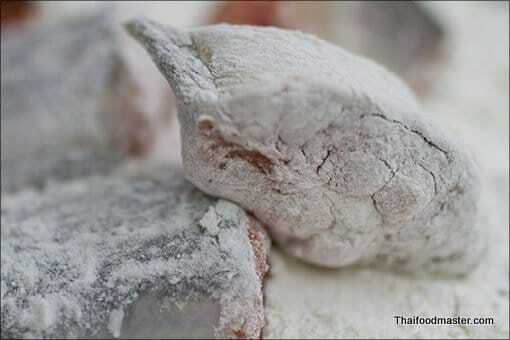 Roll the fish slices in all purpose flour until lightly coated. 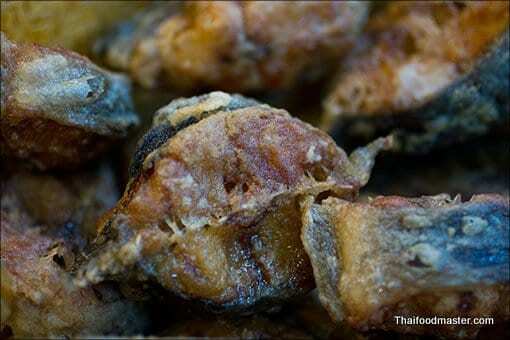 In a wok, heat oil for deep frying over medium-high heat, when the oil is hot, fry the flour coated fish slices. 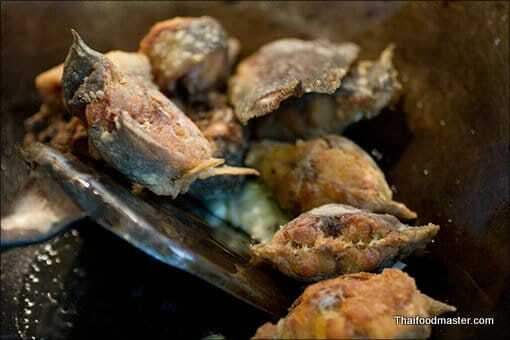 Fry until the fish is deep golden in color and crispy in texture. 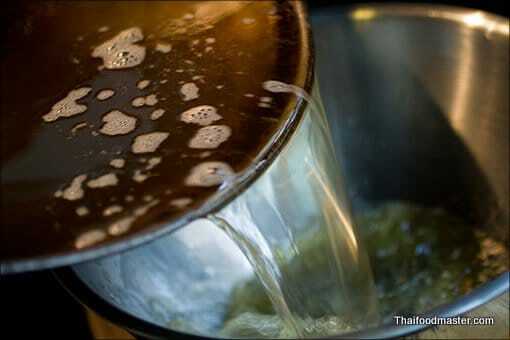 set aside on kitchen towels to drain excess oil. 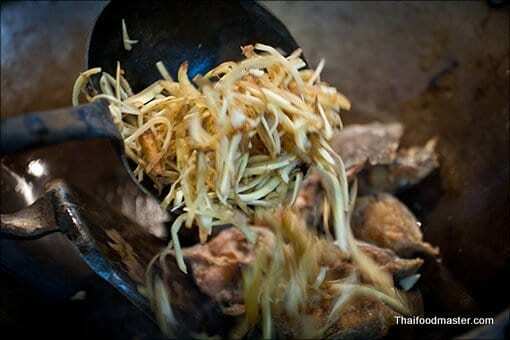 Mix all the ingredients of the seasoning sauce and set aside. 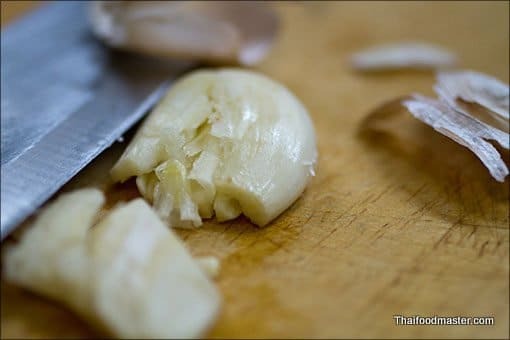 Crush and roughly chop the garlic. 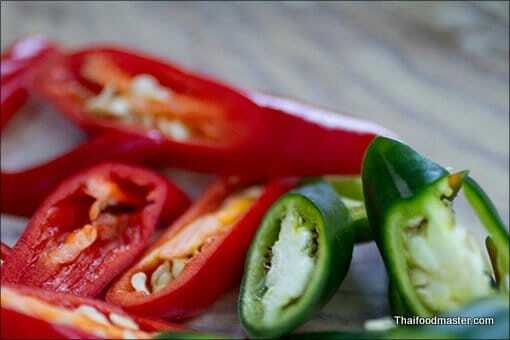 Cut the green and red fresh chilies into thick slices. 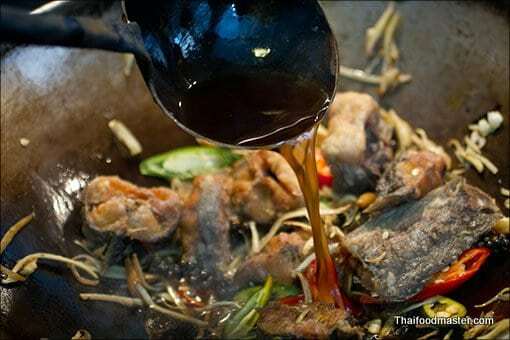 Remove the oil used to deep fry the fish from the wok. 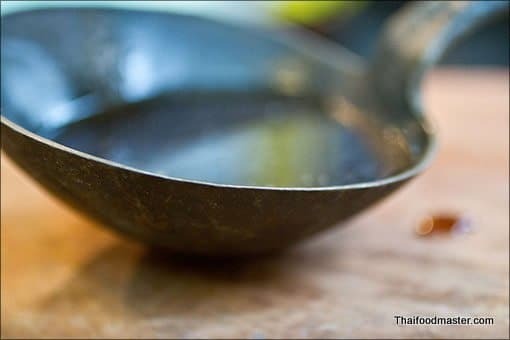 leave only 2 tablespoons of oil for stir-frying. 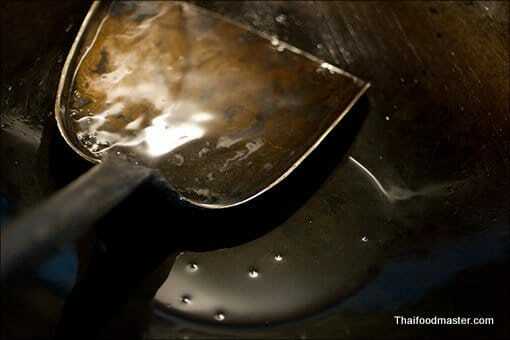 place the wok over high heat. 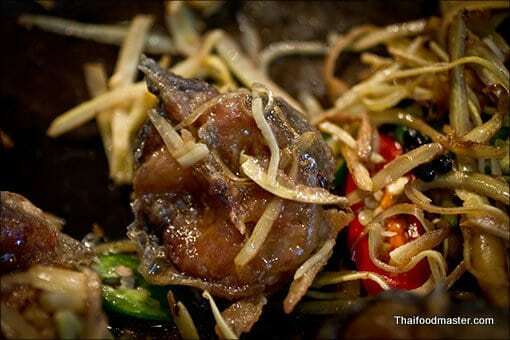 Return the deep fried fish to the wok and mix quickly with the garlic-oil. Add the wild ginger (krachai) julienne. 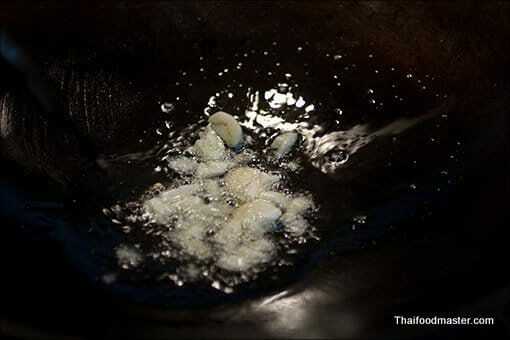 Mix everything thoroughly and quickly. Add the fresh peppercorns, green chilies and red chilies. 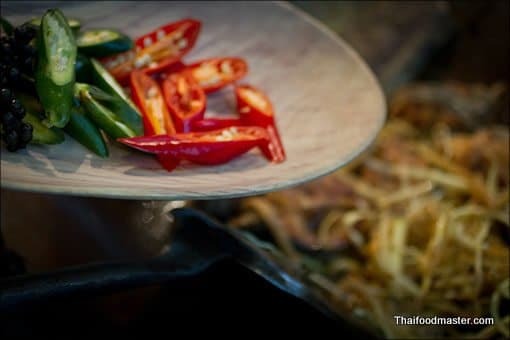 Give the chilies and peppercorn a quick stir-fry to release their aromatic oils. 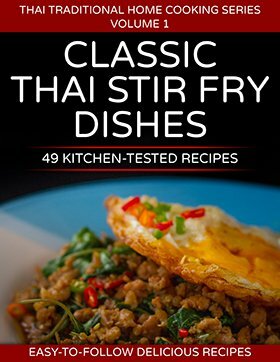 Stir fry fast, making sure all the slices of the fish gets a glaze of the sauce, less than a minute is all it takes, at which point turn off the heat.